Buzkashi in Tajikistan, originally uploaded by Jeremy Weate. 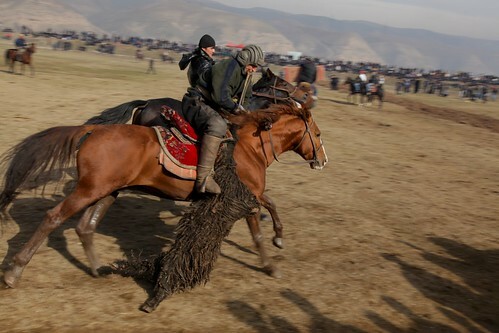 Buzkashi in Tajikistan is seems to be very cheerful game. Very enjoyable. It was very exciting game ,I watched the game in Tajikistan . Jeremy when u go update this ya blog nah?